Outward Manifestation, i.e., the production of visible and tangible effects in the objective or physical universe, has been put forth by some schools of metaphysical reasoning, as an inevitable and unavoidable necessity of the creative process. Doubtless, there have been (and possibly still exists) systems which generally relegate metaphysical subjects to the realm of purely speculative ideas and theories, with little or no consideration as to whether they have any practical application, but these shall not be considered here. Rather, the author shall seek to lay down the reason or reasons as to why outward manifestation exists, and why it should be aimed at. It might be recalled from the earlier discussion on Mind Power, that, in a general sense, it can be argued that the physical universe and all that is contained therein had its ultimate origin in an Original Creative Entity, which is described or defined by many names or titles, e.g., Spirit, Universal Mind, GOD, Life-Principle, etc. To make an otherwise long story short, the conclusion that makes the most sense regarding the nature of this Original Creative Entity, is that it is the Infinite and Eternal Source of Life, and that the only tendency that Life can demonstrate is expansion and fuller expression of Life. 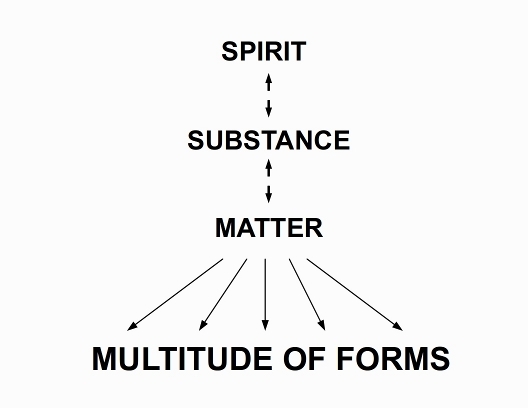 And because Spirit is Infinite, it must contain within itself (literally) an infinite number of degrees of the realization of Life, starting with the Original Substance (also known philosophically as Ether), and inevitably progressing to the production of Matter, which may take (literally) any of an infinite variety of Forms, according to the movement of Spirit, or Thought. Expanding further, each and every degree of realization of Life which has ever taken place, is taking place, and will ever take place, is a particular form of Outward Manifestation. Again, there are schools of reasoning (some of whom might still exist today) which teach that the physical world does not really exists and that all so-called "material" forms are merely illusions. While it may be a person's right to take on such a position, if they so choose, it is not a position this Author recommends or endorses. Rather, this author agrees with and hence endorses the proposition that material form, which may be considered an end-product of outward manifestation, is a substantial reality in itself, and is the means by which expression takes place in the physical universe. Without the existence of a Form, it would be impossible to either distinguish any particular instance of outward manifestation from another, or to discover where outward manifestation has taken place, as all things would inevitably be "mixed together in an indistinguishable mass". Expressed another way, Outward Manifestation is the Effect which presents itself, in response to the operation of some sequence of causation - the initiating agency, or Cause, being, as stated before, the movement of Spirit, or Thought. And it is worth noting that there exists a postulation that there is a Fifth Kingdom, but this shall be touched upon in more detail, later on. The First or MINERAL Kingdom is that of so-called "inanimate" matter, e.g., rocks and soil - "inanimate" only in the sense that it does not engage in any motion of its own volition, but, unless some external agency comes into action, is totally devoid of any motion or movement - as far as may be discernible to Man's physical senses. So far as Man's observations indicate to date, the only level of intelligence demonstrated by a thing which belongs to this Kingdom is that which subsists in the atoms of which the thing is ultimately composed - also referred to as the "atomic" intelligence. 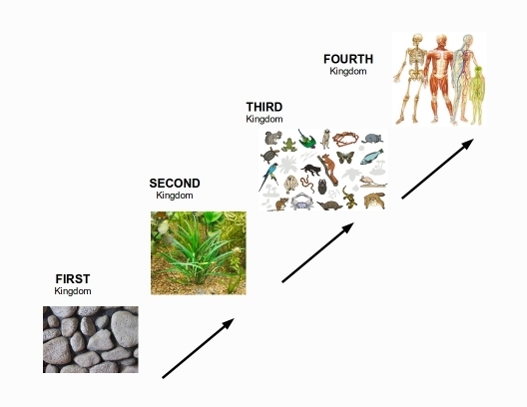 The Second or PLANT Kingdom is, as its name implies, that of plant or vegetable life - here is to be found entities which are capable of assimilating other substances for its sustenance (water, air, minerals, etc. ), but capable only of the most basic movement and (almost invariably) rooted to one spot. Notwithstanding, the level of intelligence demonstrated by plant life is of a higher level than that demonstrated by inanimate matter. The Third or ANIMAL Kingdom constitutes all those species of animals, apart from Man. Here, intelligence is generally of a higher level than that of the Plant Kingdom, and, speaking generally, the animal is not physically bound to a single location. However, for the most part, it may be considered as being "intellectually" bound or limited, for the working of its intelligence is generally restricted to the supply of its physical or bodily wants. Next is the Fourth or HUMAN Kingdom. Here is found the human species, which is not restricted, either physically or intellectually, except perhaps where the individual believes themself to be so restricted. In addition, the progress of mankind, as one person put it, "from the cave to the condominium", should serve as sufficient evidence that Man possesses a level of intelligence that is superior to that of all other terrestrial lifeforms, and that there is NO LIMIT to his power of conception (i.e., of forming ideas), save any which he either consciously or unconsciously sets for himself. Furthermore, it might have been stated before, but it is worth repeating that, just because all evidence suggests that Man has an infinite capacity to demonstrate and exercise intelligence, it does not necessarily mean that he will always exercise it in a safe or beneficial manner, either towards himself or the rest of creation. And the purpose of all systems of sound teaching and instruction is to ultimately lead Man to exercise and demonstrate his intelligence in that safe and beneficial manner, referred to previously. Now, Evolution (a word derived from the Latin word: evolutio; to unroll) may be defined (at least on a philosophical basis) as a progressive unfoldment of previously-unrevealed possibilities. Some of those systems of teaching also put forth the proposition - stated previously - that Spirit or the Life-Principle, being infinite or limitless, contains within itself (literally) an infinity of as-yet undiscovered and unrevealed possibilities. As a result of the preceding, it can be substantiated that Evolution is actually an infinite progression - there is actually NO LIMIT to future unfoldment and development, and consequently, there is actually NO LIMIT to the degrees of Outward Manifestation that can actually be realized. And, according to many (if not all) of those systems, the progression of Life from the First Kingdom (inanimate matter) to the Fourth Kingdom (so-called physical Man) - which may also be described as Evolution - is the spontaneous operation of Nature. In addition, they also put it forth that further progression beyond the Fourth Kingdom is indeed possible, but it will not be the result of any spontaneous operation of Nature, but will only occur through the intelligent and conscious action on the part of the individual. The lower kingdoms, by virtue of the relative level of intelligence they possess and demonstrate, are simply incapable of partaking in the further progression - the only living being capable of such a thing, is Man. This, according to those systems, is the next stage of evolution, and its corresponding outward manifestation - the progression to the so-called Fifth Kingdom, where Man awakens to the full recognition and realization of his mental and spiritual nature. But it should be noted that outward manifestation is not limited to the infinitude of so-called "living organisms" which constitute the Four Kingdoms. "Thought and character are one, and, as character can only manifest and discover itself through circumstance, the outer conditions of a person's life will always be found to be harmoniously related to his inner state." "Character" may be defined as: the aggregate or cumulative total of features and traits that clearly define individuality, i.e., that which differentiates one individual person from another. Similarly, "Circumstance" may be defined as: a condition, detail, part, or attribute, with respect to time, place, manner, agent, etc., that accompanies, determines, or modifies a fact or event - in this case, it can be put forth that the fact or event involved is the inner (mental) state of the individual. Moreover, all of those individuals who - again, in their respective ways - awoke to this fact, have also pointed out that it is the inner mental state which ultimately dictates and defines the character or circumstance, and not vice versa. Why should such a proposition be of any importance to Man? One answer has been given in the previous discussion on "Mind Power", which will be expanded to some extent here - the postulation that Man is, in actuality, an Individualization or miniature reproduction of Spirit or Universal Mind, which naturally results in his Thought or Mental Action possessing the same exact quality of Creative Power (the capacity to set a sequence of causation into motion), as that demonstrated by Universal Mind. Arising out of that explanation, it has also be put forth that the creative power of Man's Thought is always in operation, whether the individual recognizes its existence or not, i.e., Man can never "turn off" or "shut down" his capacity to set causation into motion, with respect to his individual world. 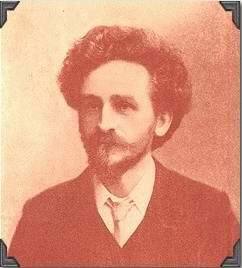 In addition, Thinking has been reasoned to be a perpetual process; i.e., Man never ever stops Thinking. Accordingly, each and every person is - either consciously or unconsciously - setting some sequence of causation into motion via the exercise of their mental action, which, if permitted to run its course, will inevitably result in some form of outward manifestation. The end-product of that outward manifestation set in motion by the individual may be either a desired object, or it may be an undesired one - notwithstanding, something is inevitably going to be manifested. Accordingly, Man - whether individually or collectively - actually has a choice - either to let his mental action run "whither it will" (i.e., without conscious and deliberate direction on his part), or to exercise said conscious and deliberate direction. It is a choice - and a responsibility - which each and every person must exercise and discharge for themselves, because, as individualized Universal Mind, each and every person is (as one noted authority put it) actually the creative and directing centre of their own individual world.